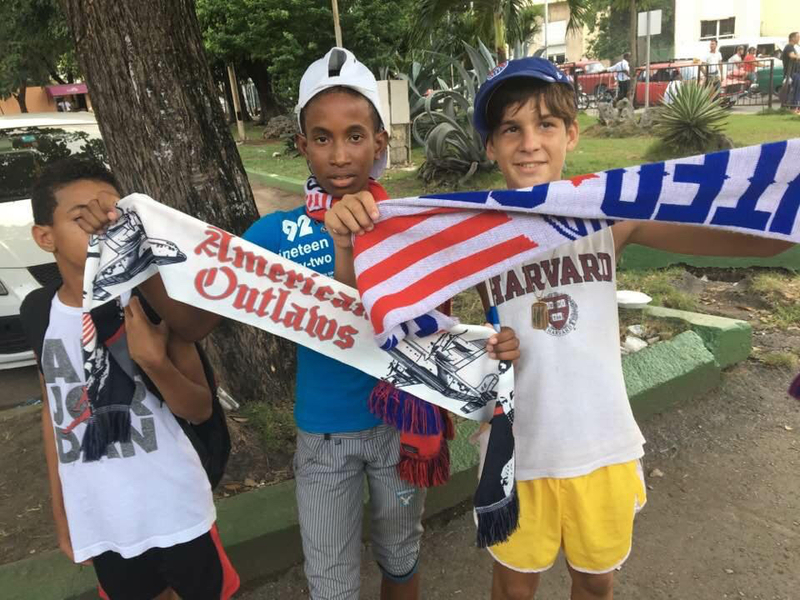 Despite its best efforts, Hurricane Matthew could not deter the American Outlaws from following the USMNT to Havana, Cuba Oct. 7, 2016 for a historic friendly against the Cuban National Team. It was just the third meeting ever between the two sides on Cuban soil. The approaching hurricane forced our charter flight to leave from Tampa on the day of the game. Many had to scramble to get there in time, either by plane or by rental car. With a noon flight and a 4 p.m. game time, there was nervous anticipation. Would the flight really take off? Would we make it to the game on time? We touched down in the sunny, hot and humid Havana countryside with two hours to spare. As our tour bus chugged through the streets of La Habana, Estadio Pedro Marrero suddenly appeared surrounded by a throng of Cuban soccer fans, many in European soccer jerseys. We were waved down a long driveway while fans took pictures as if we were part of the team. Gasps of surprise erupted when our bus drove onto the track surrounding the pitch and pulled to stop in front of the team benches. Astonished, we wasted no time piling off to take pictures, selfies, and of course, an AO family photo with the stands and field as our backdrop. Clearly we weren’t supposed to be on the field. We were soon directed to get back on the bus and re-enter the stadium through a bar attached to the front of the stadium. This became our impromptu pre-game tailgate. Then it was on to the game, where it turned out the Second Lady of the United States, Dr. Jill Biden, was in attendance. Naturally we welcomed her to our fold. The game itself was a completely different experience than in the U.S. The scoreboard was manual, there were very few announcements, no jumbo TV screen to watch the action, and certainly no instant replay. We cheered and sang with abandon. 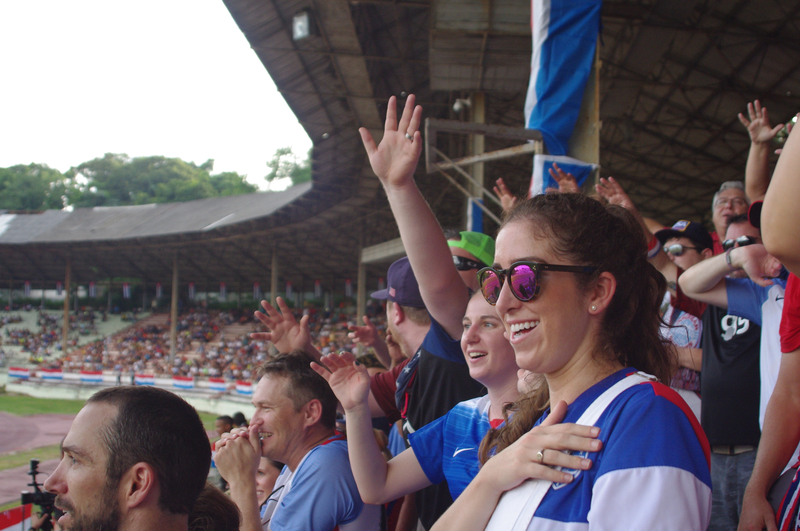 When it was all over – 2-nil to the good guys – we saluted the Cuban fans, “Ole, ole, ole, ole… Cuba, Cuba.” They roared with approval. As our men walked across the pitch, panting in exhaustion, soaked through in sweat, we let them know, “We love ya… and where you go we’ll follow,” even if that means to a place few Americans have ever been. 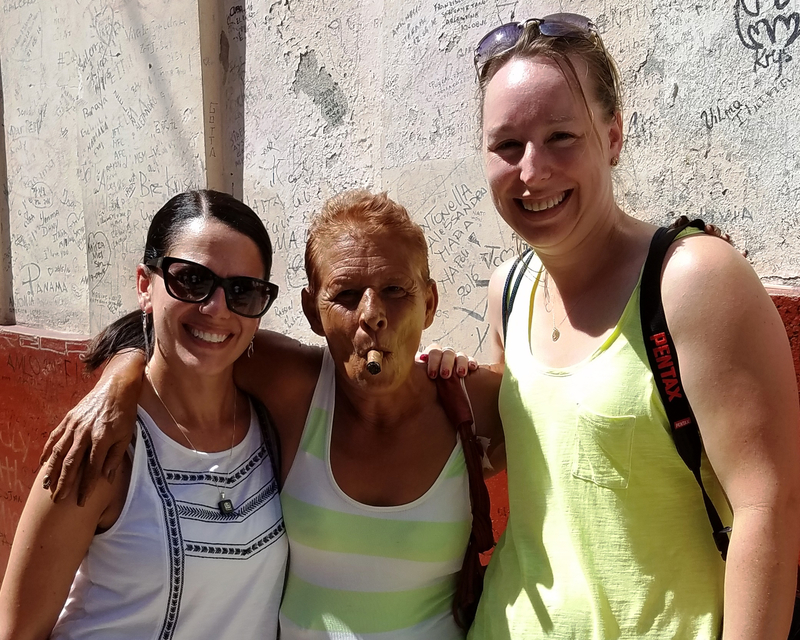 The next 40 hours were a whirlwind of rum, mojitos, cigars, and Cuban culture. 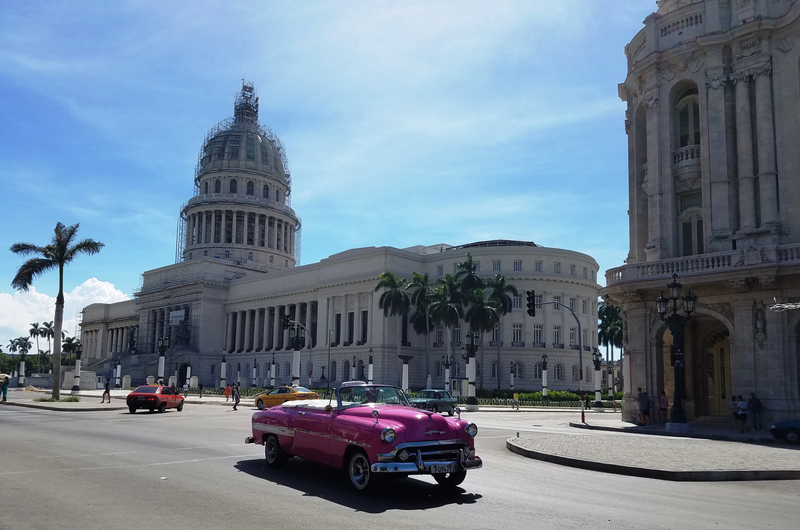 We toured Old Havana, ate delicious food, rode in amazingly well-preserved American cars from the 1950s, drank daiquiris in Ernest Hemingway’s old haunts, and cruised along the historic Malecón. 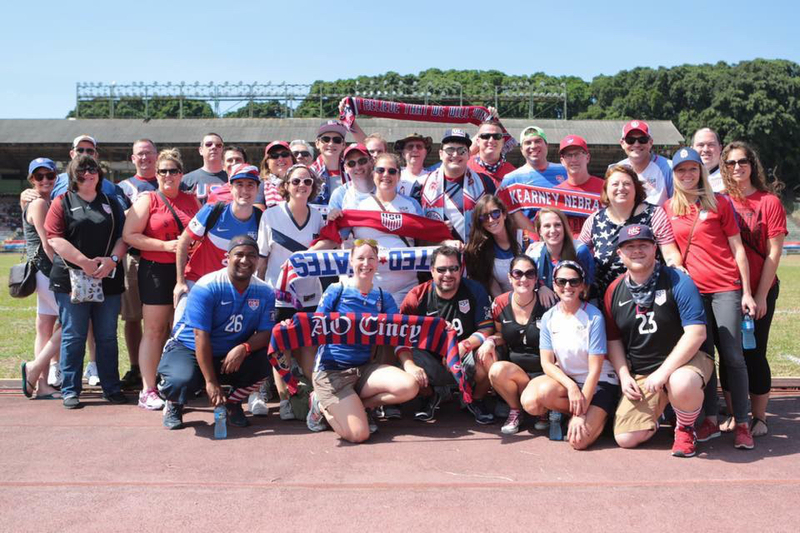 Hemingway wrote, “Never go on trips with anyone you do not love.” This collection of soccer fans from Alaska to DC truly embodied, at least for me, the American Outlaws family. We looked out for each other, we laughed and danced together, and no one’s glass was ever empty. He couldn’t be more right. Our trip was full of twists and turns, but in the end we found friendship and an amazing country full of interesting people and vibrant life. If you ever have the chance, go. Tana Weingartner is a reporter for an NPR member station in Cincinnati, Ohio, where she’s and an avid soccer fan and member of AO Cincy. 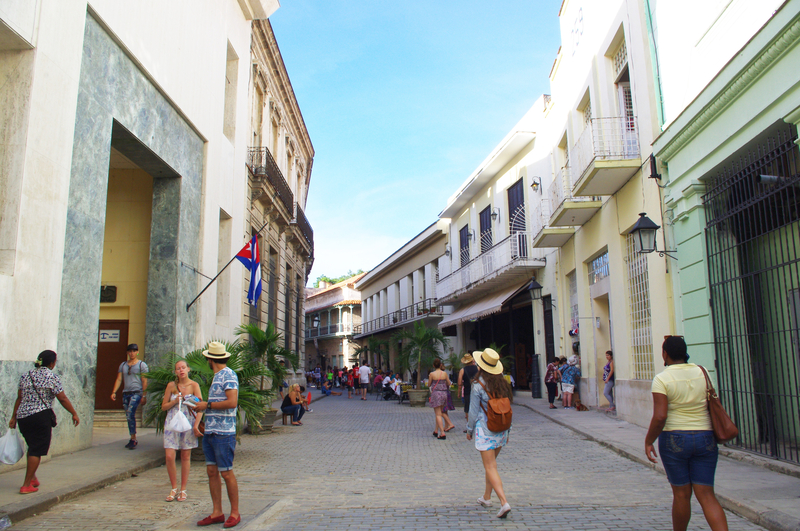 Check out this video of AO in Cuba by Louis Frisz.